Chicago is coming: who is in? The multi-award winning musical (6 Tony Awards, 2 Olivier Awards and one Grammy) will start is run in March 26th at the Phoenix Theatre. 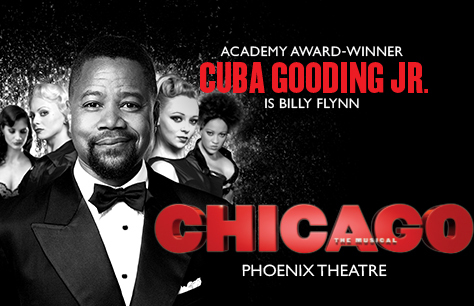 Cuba Gooding Jr will be for the first time in a British stage playing the role of the lawyer Billy Finn. With him, Sarah Soetaert as Roxie Hart, Josephina Gabrielle as Velma Kelly and Ruthie Henshall as Mama Morton. Chicago is coming back to London after an original run of 15 years (from 1997) and is the longest running American musical in Broadway (21 years). It sems it will be one of the not to be missed.